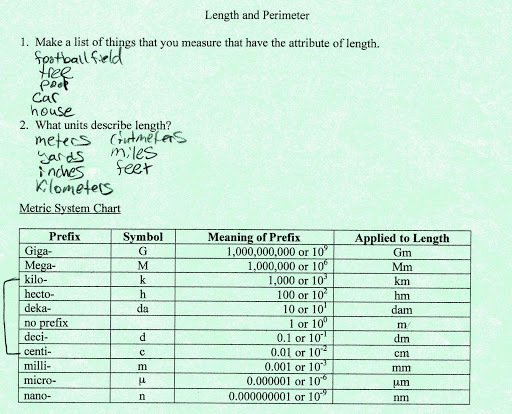 This gives a couple basic measurement questions for kids ( involving length and perimeter) and a chart of the Metric System. It would be a good whole class activity to create a chart like this (in math journals, on an anchor chart, etc.). This entry was posted in Math, Uncategorized and tagged Children, Education, Elementary School, Homeschool, Math, mathematics, measurement, metrics, Teacher Resources, Teaching by Squarehead Teachers. Bookmark the permalink.